Coral is one of a very few organic gemstones. It consists of a mass of skeletons of tiny marine invertebrates that once lived in a colony attached to rocks or other objects on the ocean floor. The variety of coral that is of interest to jewelers and mystics is referred to as "precious coral". It varies in color from a blood red to a very pale pink. It occurs in tropical and subtropical oceans, usually at a depth of less that 50 feet, although there are some exceptions. Since ancient times, the population surrounding the Mediterranean has used coral decoratively, medicinally and spiritually. It flourishes around the coasts of Morocco, Corsica and and Algeria. The Romans hung pieces of coral around the necks of their children to protect them from illness and danger. Worn around a woman's neck, it was a charm against sterility. Pliny tells of how coral was used to quiet tempests and insure that the wearer would never be struck by lightening. The ancient Chinese viewed coral as a symbol of longevity and official promotion. The ancient Greeks believed coral had the power to counteract witchcraft and protect against storms, poisons and robbery. 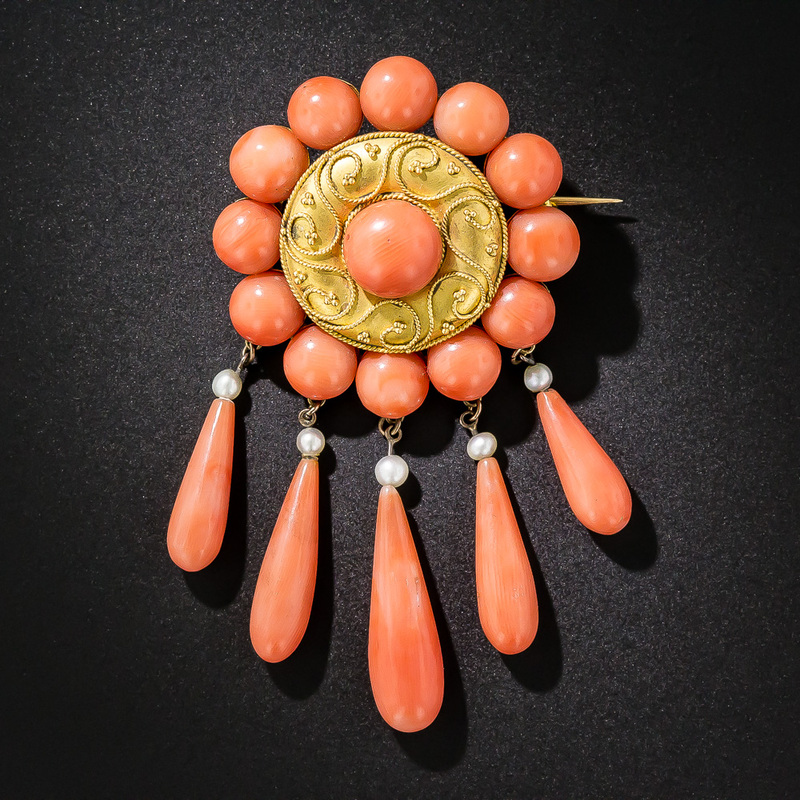 Early in the 19th Century, the Navajo named coral one of the eighteen sacred objects, which is why it is common in Native American Jewels and ornaments. Red coral is a stone of passion and attracts love and prosperity. Coral fosters creativity and optimism and brings inner peace. Metaphysically, coral is used for general healing, with an emphasis on blood and the circulatory system.